How Important is Clearwater Commercial Business Insurance? Do you have commercial business insurance? If you are running any kind of business whatsoever, don’t forget that Clearwater commercial business insurance is a must-have right from the inception stage. When you are busy trying to start a business, it is likely that you have not given this a thought. Even if you have already started a business, it is not too late to opt for commercial business insurance. Not having Clearwater commercial business insurance is a risk that you do not want to take. Why is Clearwater Business Insurance Essential? Consider that you are putting money into a business, whether it is your own money or a loan. You need to cover any unforeseen risks and liabilities that can ruin you financially. If you are not protected, not only could your business face financial disaster but you can even face personal financial ruin. When you opt for Clearwater commercial business insurance, you have a certain degree of protection that ensures that you and your business will not suffer economic losses. Your place of work, such as an office, workshop, or factory will be covered. Your employees will be protected against various circumstances and your business will also be safe from unknown risks. One or all of these can put you under and all your hard work, time, effort and money will go down the drain with nothing to show for it. What Does Commercial Business Insurance Cover? • Natural disasters like flood, rain, fire, and others. • Damage to your physical property, including liability instance. • Damage to third parties due to your work or due to your products. 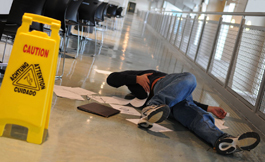 • Damage to workers or employees if they get injured in the course of their work. • Data loss due to data loss or hacking. • Business losses due to an unwarranted shutdown of your business. • You can get the kind of coverage that is appropriate for your business and the risks it is vulnerable to. What if the Premiums are Unaffordable? What if you don’t have Clearwater commercial business coverage when a disaster strikes? This result in the end of your business. Our experienced agents can work with you to get the coverage that is appropriate for your business and the risks it is vulnerable at a cost you can afford. 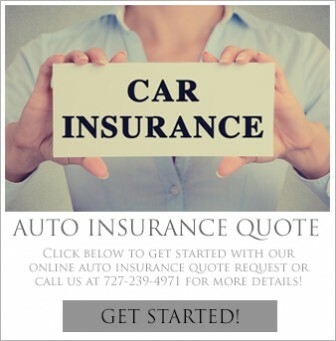 Our insurance agency is known for its affordable premiums. When you speak to our insurance experts, they will provide you with the best coverage at the best price. Contact one of our Clearwater business insurance specialists at 727-441-9911 to help you detect potential problems and look for ways to save on your premiums.